Things I Bought That I Love highlights the (hopefully) rare, carefully considered new purchases that spark joy in this aspiring minimalist. A casual jacket with a fuzzy sherpa or shearling collar has been on my fall shopping wishlist since August. My style has evolved in the last two years and become more informal, and during spring cleaning I got rid of a bunch of structured blazers and jackets that were suddenly feeling too tight across the shoulders—both good reasons for a new transitional topper. The other reason I've been wanting a shearling-collar jacket? Gilmore Girls. This isn't the first time I've bought something inspired by one of my favourite TV shows of all time. 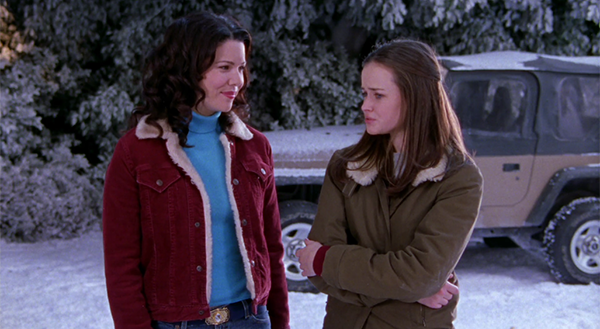 In preparation for the release of the Netflix revival, I've been rewatching the entire series and admiring the shearling-lined jackets Lorelai and Rory sport in seasons 1 to 3. They seemed to be the perfect throw-on-and-go style—a cozier, but equally casual and wearable, cousin of the jean jacket and army jacket I already own and love. 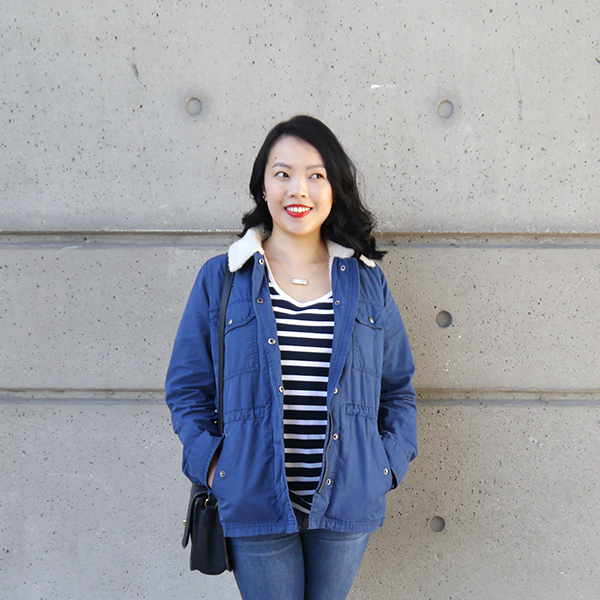 This Gap sherpa-lined utility jacket ($118) ticks all the boxes. The fuzzy collar is adorable, yes, but the shearling lining in the torso of the jacket also keeps me toasty and I love how functional the pockets and snaps and zipper closure are. 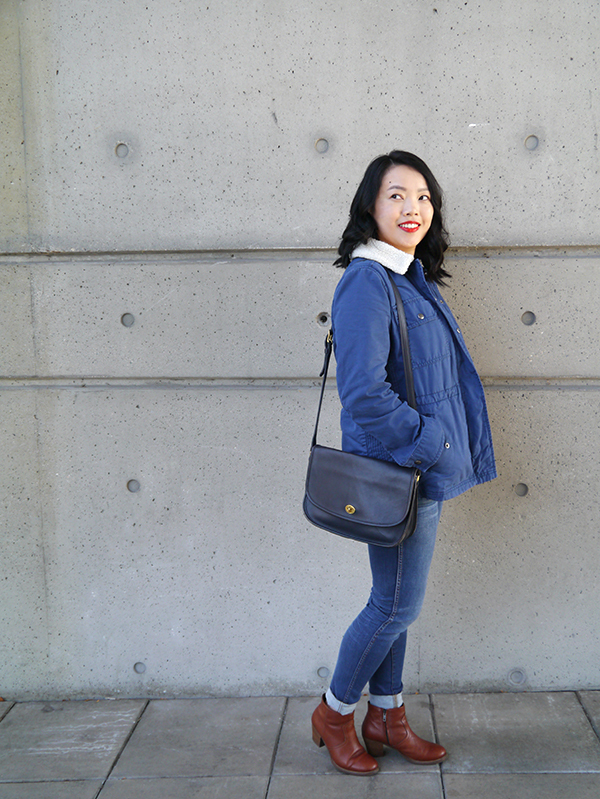 The silhouette and style are reminiscent of my ultra-versatile Madewell army jacket, so I got it in blue instead of olive green for a change of pace. 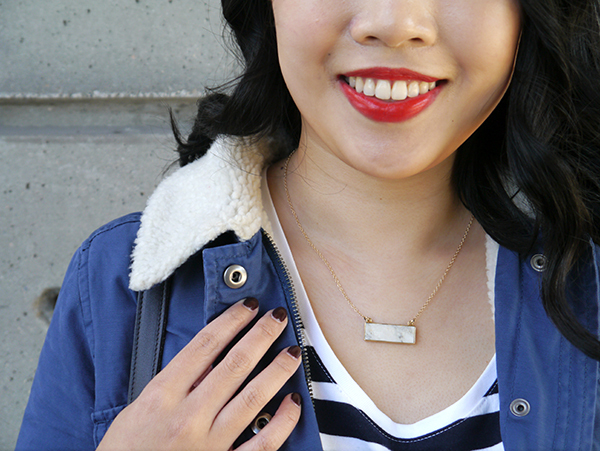 Layered over a T-shirt, it provides just enough warmth for a brisk walk outside in pale fall sunshine. As the weather cools further, I'm planning to layer it over cashmere and add a scarf and beanie. Appropriately enough, I also wore it to the Luke's Diner pop-up in Vancouver. Evidently I'm not the only one craving a shearling jacket for fall because I've seen a ton of them crop up this season. (I've rounded up a few in this post if you're looking for one too!) Is this a trend or a style that'll stand the test of time? I'd like to think it's the latter. OMG, that jacket is so Gilmore Girls! Did you watch the trailer yesterday? Lar and I are so excited for Nov. 25!! !